Phoenix -- CF Stinson, a leading resource for commercial textiles for more than 60 years, announced today that the company captured a prestigious Nightingale Award at the annual Healthcare Design Conference. Stinson’s Celliant Collection won a Nightingale Silver Award in the technology and integrated solutions category. Held at the Phoenix Convention Center, November 10-13, the annual Healthcare Design Expo and Conference is sponsored by Healthcare Design Magazine and is the premier design exposition and conference for healthcare interiors in North America. Presented by Healthcare Design and Contract in partnership with the Center for Health Design, the Nightingale Awards recognize contribution to the healthcare built environment through product design and innovation that contributes to healing. Named after Florence Nightingale, the awards recognize an outstanding product’s contribution to the healing environment, as well as additional functionality, durability, and quality. Historically, woven textiles were considered products that simply added aesthetic value or helped create an attractive brand identity as part of an overall interior design plan. Until now, textiles were never responsive and health enhancing. A responsive woven textile is a material that interacts with the body, recycling its natural energy emissions to temporarily improve function of the user. Celliant® is based on three fundamental scientific principles: The human body emits heat; certain naturally-occurring minerals absorb heat and emit far infrared energy (IR). The IR is recycled back into the skin and tissue improving circulation and increasing tissue oxygen levels in a safe and natural way. Quite simply, Celliant® fabrics recycle human energy. The benefits of Celliant® apply to any commercial interior where sitting is part of the experience. The result is more fuel for the body, less fatigue, and increased energy. Produced using a patented blend of thermo-reactive minerals, Celliant® is embedded into the core of the fibers used in the four patterns that comprise the CF Stinson Celliant® Collection. Because the technology is embedded in the fiber, the benefits will remain intact for the life of the product. The FDA has determined that Celliant® products are medical devices as defined in section 201(h) of the Federal Food, Drug and Cosmetic Act and are general wellness products. Product designer Nicole Casey initiated the concept of Celliant® woven textiles for the commercial interiors and furniture industry. She invested several years working collaboratively with Hologenix, the inventor of the Celliant® infrared fiber technology, and later with the Stinson Studio to bring the idea to the market. “I believe it is our responsibility as designers to push the current limits of product performance. The unique infrared technology behind Celliant® presented an opportunity to innovate and go beyond commonly accepted boundaries in our industry to create a new performance level that benefits the end user,” said Ms. Casey. “In Stinson, I found a like-minded team that shared my vision, and through our collaboration we have made responsive woven textiles a reality in the contract interiors industry." 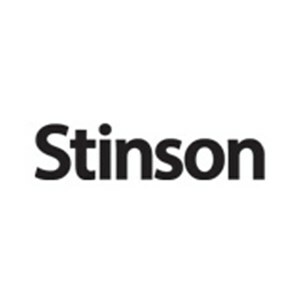 Established in 1952, CF Stinson purveys innovative commercial textiles that exceed customer expectations for design, innovation, performance, value, sustainability and service.